© Stephanie Wagner. All rights reserved. 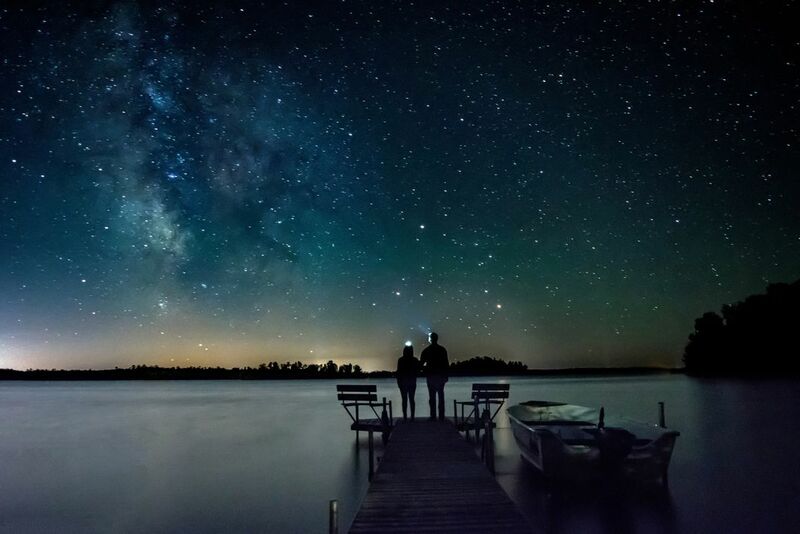 My two friends in this photo were engaged and at our annual friends cabin gathering, I captured this moment of them star gazing at the end of the dock. It turned out to be the perfect wedding gift. In the photo they are wearing headlamps and you can see the milky way off to the left. Above them and to the right there are 3 bright stars. the one on the very far right is Mars, up and to the left is Saturn and directly below that is Antares which is the 15th brightest star in the sky. Date Uploaded: June 12, 2017, 3:05 p.m.